Shares in Gulf Keystone Petroleum Limited (LON:GKP) have fallen by around 14% so far this week, following yesterday’s announcement that the firm’s chief executive officer had cut his shareholding by more than 40%. According to the company, CEO Todd Kozel has transferred 10 million of his 24 million shares to an unnamed third party, in settlement of a financing arrangement. This leaves him with almost 14 million stock options and a paltry 255,004 shares held directly. In a regulatory announcement last year, Gulf Keystone Petroleum Limited (LON:GKP) reported that Kozel had agreed to transfer 17 million of his shares to his ex-wife as part of their divorce settlement. It’s possible that yesterday’s transfer relates to this settlement, although the company did not confirm this. Is Gulf Keystone still a buy? I think the share transfer is probably related to Kozel’s divorce, and I still rate Gulf Keystone Petroleum Limited (LON:GKP) as a buy. The firm owns 51% of the Shaikan oil field in Kurdistan, which has around 14 billion barrels of oil in place. The oil can be extracted relatively cheaply, and is of good quality. Despite this, Gulf Keystone Petroleum Limited (LON:GKP) has a market capitalization of only £1.4 billion, which equates to just 20 pence per barrel for the firm’s share of Shaikan’s oil. 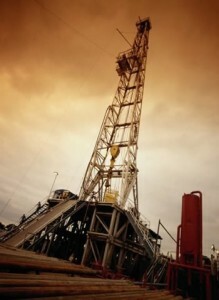 Two key problems prevent Gulf Keystone from delivering the shareholder returns a find of this size would usually create. Firstly, the company is still awaiting the final judgment from its High Court case against Excalibur Ventures, which claims that it is entitled to a 30% share of Shaikan. Until this is resolved, Gulf Keystone’s credibility as a serious independent oil firm remains at stake. The second problem is that despite building production facilities, Gulf Keystone Petroleum Limited (LON:GKP) can’t currently sell very much of its oil. A long-running legal dispute between the Kurdistan Regional Government and the Iraq central government means that oil exports are currently almost impossible. Production is effectively limited to what can be sold into the local market. If both issues are resolved in Gulf Keystone Petroleum Limited (LON:GKP)’s favor, I expect the firm’s share price to take off, as it would then be able to monetize one of the world’s biggest untapped oil fields. However, there is no denying the risk that things won’t go to plan — either in court, or in the uncertain world of Iraqi politics. If this happens, the future could be much less rosy. The article Gulf Keystone Petroleum Falls 14% as CEO Cuts Shareholding originally appeared on Fool.com and is written by Roland Head. Roland Head owns shares in Gulf Keystone Petroleum. The Motley Fool has no position in any of the stocks mentioned.